Ashley Rae, ’02, is a whirlwind of energy and focus. 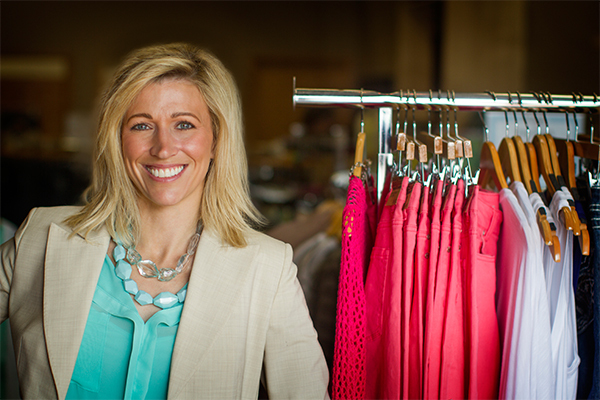 She has to be as the Grand Forks entrepreneur runs a web-based marketing and mentoring business aimed at helping women succeed, heads a non-profit foundation, and this summer she added retail store owner to her résumé. Rae launched her first business, Brand Logic, a web design and marketing company, after working post-graduation for a Minneapolis web design company. Thanks to the growing acceptance of web-based consultancy, she was able to move from Minneapolis to the West Coast and back to Grand Forks while building her business from the comfort of her home. But despite loving her business, Rae had the feeling that something was missing. She decided that she really wanted to focus on helping women in their business ventures. So two years ago, she opened an office for Brand Logic in the UND Center for Innovation business incubator in order to “take it to the next level.” She also began retooling her business model by adding a mentoring and empowerment program called Her Brand Development Group (HBDG). The goal: to help women reach their full potential as entrepreneurs. 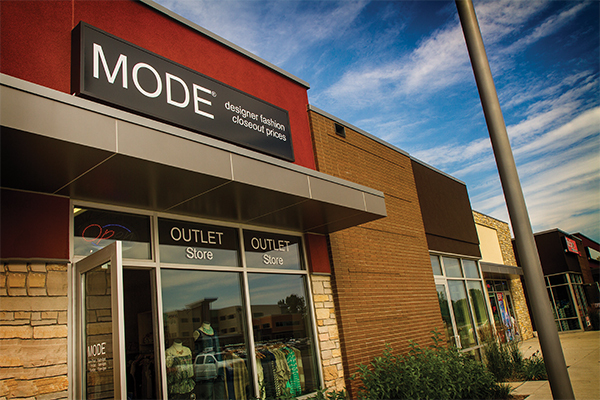 Rae says a number of her clients operate independent consulting or franchise businesses, which is why she purchased the Grand Forks store of the regional franchise MODE, a discount designer fashion outlet. She says she wanted to have the same experiences as some of her franchisee clients, so she can better understand their struggles and successes. Rae admits she wouldn’t be able to keep so many balls in the air if not for having the right support team. She says it’s important to find people who share your vision and passion. “It’s not just me in the trenches,” she says. With her personal experience and having worked with many others who’ve done it, Rae offers this as her biggest piece of advice to someone planning to launch a business: Be prepared. Cope Well lines up counseling sessions, hosts support groups and puts its members in touch with mentors who’ve experienced the journey themselves. In addition to Brand Logic, Her Brand Development Group and now MODE, Rae is also the founder of The Cope Well Foundation, a non-profit charity that focuses on the emotional needs of cancer patients, their caregivers and family members. Rae launched Cope Well after being diagnosed with Melanoma Skin Cancer in 2008. A cancer battle led Ashley Rae to launch a non-profit foundation to help other deal with the emotional traumas of cancer.